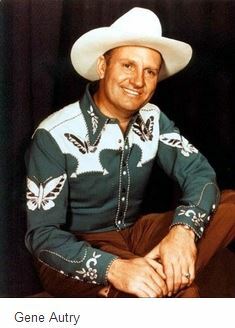 Most people remember Gene Autry as the singing cowboy who became famous for his work on the radio, television and in the movies. However, few people know he piloted C47 cargo planes during World War II and flew over the hump in the CBI Theater. Gene Autry was born Orvon Grover Autry near Tioga, Texas in 1907. It’s hard to believe the outlaws in his western movies would have taken anyone with the name Orvon seriously, so it’s understandable that he changed his name. Gene started his entertainment career in 1928 and became known as the Singing Cowboy. He attained superstar status in a career that included records, radio, television, live stage and the movies. By the time he retired from show business 1964, he had starred in almost 100 films and made over 640 records. His records sold more than 100 million copies, including the first record ever certified gold. Gene Autry is the only person to have five stars on the Hollywood Walk of Fame, one in each of the five categories maintained by the Hollywood Chamber of Commerce. He was also a Freemason and became a 33rd degree Master Mason. 1. The Cowboy must never shoot first, hit a smaller man, or take unfair advantage. 2. He must never go back on his word, or a trust confided in him. 3. He must always tell the truth. 4. He must be gentle with children, the elderly, and animals. 5. He must not advocate or possess racially or religiously intolerant ideas. 6. He must help people in distress. 7. He must be a good worker. 8. He must keep himself clean in thought, speech, action, and personal habits. 9. He must respect women, parents, and his nation’s laws. 10. The Cowboy is a patriot. The code reflected his personal philosophies and he proved his patriotism during WWII. He interrupted his flourishing career in 1942 and joined the Army Air Corps. 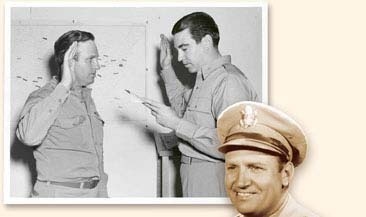 He was sworn into the Army on the air during a broadcast of “Melody Ranch”. Gene entered the army as a tech sergeant and was accepted for flight training. On completion of his training, he was promoted to Flight Officer and was assigned to the Air Transport Command. He was on flight status from June, 1944 until June 1945 and flew C47s carrying fuel, ammunition and arms over the hump in the China-Burma-India theater of war. The hump was a hazardous air route over the Himalayan mountains that became known as the Aluminum Trail due to the scattered wreckage of the numerous planes that went down due to extreme weather and enemy action. 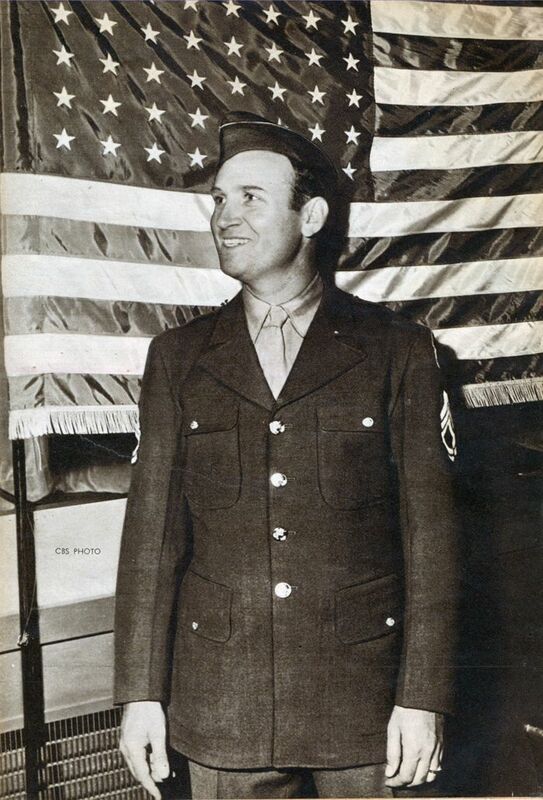 Gene Autry served his country as a beloved superstar and a brave pilot during WWII.